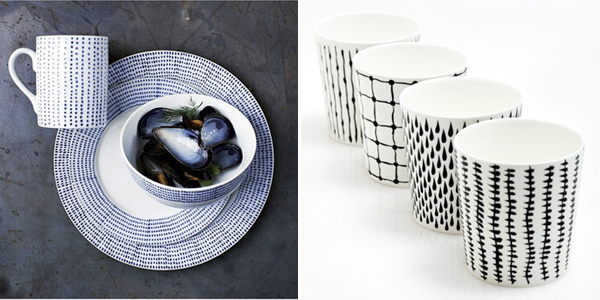 Dinnerware wasn't really on my radar until recently. 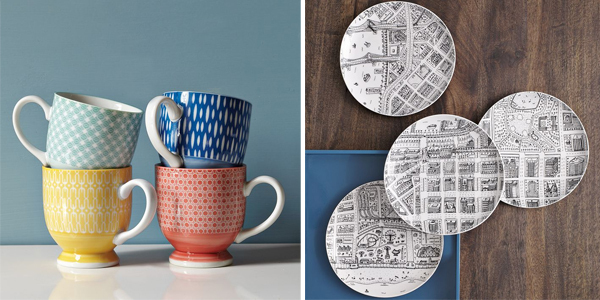 I love all these sketchy patterns appearing on plates and mugs! They're too nice to eat out of! If I had open shelving in my kitchen, I would own all of these! 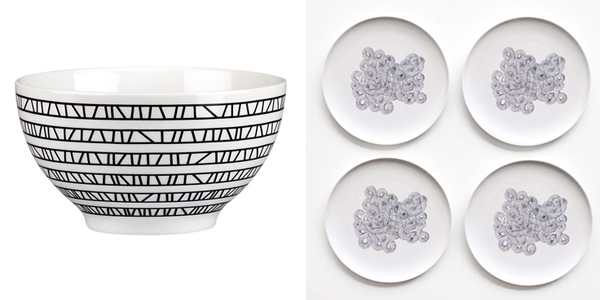 I have those James McNally Neighborhood plates and they're even more wonderful in person! I may need to look in those Gemma Bowls. I love the James McNally Plates! I plan on picking them up and using them as wall art!